Brampton criminal lawyer, Morrie Luft, is an experienced criminal lawyer who provides first class representation for all criminal and drug related offences. Mr. Luft is dedicated to ensuring you receive the best possible defence and will thoroughly analyze your case to explore every possible angle. 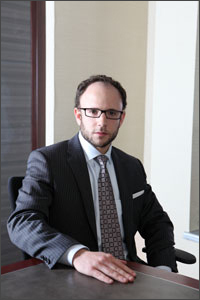 In defending your case, he will work tirelessly to advance every argument and defence that is helpful to your case. Mr. Luft’s practice is restricted to defending criminal and drug offences. If you are alleged to have committed an offence in the City of Brampton, your case will be heard at the courthouse located at 7755 Hurontario Street. All youth and adult criminal and drug cases are heard at this courthouse. All Ontario Court of Justice and Superior Court matters are heard at the courthouse at 7755 Hurontario Street. If you have been charged in Brampton, Mississauga or anywhere else in Peel, contact Morrie Luft to schedule a free consultation.